Even as the economy begins its slow crawl back, college costs are continuing to rise – that means parents are continuing to fight a tough battle between funding college and funding their own retirements. In October, the College Board reported that the average published price of tuition and fees for in-state students at four-year U.S. public colleges was $7,020 for the 2009-10 school year, up $429 or 6.5 percent higher than a year ago. After adjusting for inflation, the average net price paid for tuition and fees by public four-year college students overall is lower in 2009-10 than it was five years ago — but higher than it was last year. Private four-year colleges saw a smaller increase of 4.4 percent or $1,096, but for a much higher average annual tuition of $26,273 for the school year. Also in October, the Employee Benefit Research Institute (EBRI) and the Investment Company Institute (ICI) also reported in October that American workers who held 401(k) accounts consistently from 2003 through 2008 suffered a 24.3 percent average drop in their account balance during 2008’s bear market. Despite these huge challenges, it’s particularly important for parents to make retirement their first priority – kids can always take on loans and search for scholarship and grant funding to tide them over. Parents can offer help in a better economy, but the momentum lost in saving for retirement is much tougher to replace. But not so fast. There are serious financial consequences to breaking into 401 (k) and other tax- advantaged retirement savings, and parents tempted to do so should look for other alternatives. A July 2007 Country Insurance and Financial Services survey found not only that 25 percent of respondents thought it would cost less than $50,000 to send a child to a four-year college (on average, public schools have surpassed that when you add room and board), but that nearly half believe that saving for college is more important than their retirement, which most qualified experts advise against. Any withdrawals from an IRA you might take for your child or grandchild’s education (as well as your own or your spouse’s) can be withdrawn without the usual 10 percent penalty on early distributions before age 59 ½. But you really need to talk with a tax advisor or a personal finance expert like a CERTIFIED FINANCIAL PLANNER ™ professional to determine whether your IRA withdrawals will have to be reported on your Form 1040. The entire withdrawal from an IRA — whether taxable or not — must be included as income on the following year’s application for the Free Application for Federal Student Aid, or FAFSA. Family income does more to influence financial aid than the size of the family’s assets, and dipping into your IRA can potentially damage your child’s potential financial aid. Check with a trained financial planner expert in financial aid strategy before you make a move. Earlier this year, the Transamerica Center for Retirement Studies reported an increase in workers taking loans from their 401(k) and other work-based retirement savings. Eighteen percent of those surveyed reported they took loans from their retirement plans in 2007 compared to 11 percent in 2006. Yet keep in mind that while most plans provide an option for hardship withdrawal for emergency medical or funeral expenses, the IRS restricts use of those funds for home purchases or tuition expenses. See if there are grants and scholarships not only in your community, but also within your industry. Understand what a prospective student’s college choices might offer in terms of aid from its endowment. Also, some employers offer scholarships for their employees’ kids. Start searching online, at the office and by phone for such aid. Parents need to become more aggressive about negotiating tuition, room, and board at colleges where either they or their children have been accepted. A financial planner with expertise in college planning can train parents to understand where those savings might be against the student’s qualifications for getting into the program of their choice. 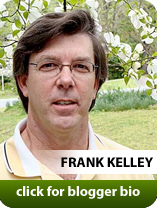 December 2009 — This column is produced by the Financial Planning Association, the membership organization for the financial planning community, and is provided by Frank Kelly, CFP®, a local member of FPA.